For over 160 years, Walton has been a successful place to live, work and play. A rural community with a modern attitude, serene country scenes co-exist with the urban hustle of the cities and towns nearby. Walton offers the perfect location for those seeking major metropolitan advantages, a moderate seasonal climate and excellent economic incentives. We have worked very hard creating this web site , and we would appreciate any comments or suggestions that you may have. Many people are surprised by how much home you can afford here. Regional real estate costs thousands of dollars less than the national average and Walton area real estate is among the most affordable in the region. Columbus and Central Ohio Regional MLS listings last updated Apr 21, 2019 10:58:pm. Information deemed reliable but not guaranteed. Information is provided exclusively for consumers' personal, non-commercial use and may not be used for any purpose other than to identify prospective properties the consumer may be interested in purchasing. This data is up-to-date as of Apr 21, 2019 11:09:pm. The data relating to real estate for sale on this web site comes in part from the Broker Reciprocity program of the Multiple Listing Service of Greater Cincinnati. Real estate listings held by brokerage firms other than the owner of this page are marked with the Broker Reciprocity logo and detailed information about them includes the name of the listing brokers Copyright © 2019, MLS of Greater Cincinnati, Inc. All rights reserved. 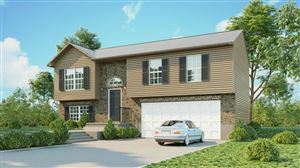 Northern Kentucky listings last updated Apr 21, 2019 11:12:pm.